Modern Birdhouse for 3D Printer, Lasercutter, or CNC by neobobkrause is licensed under the Creative Commons - Attribution - Non-Commercial - Share Alike license. 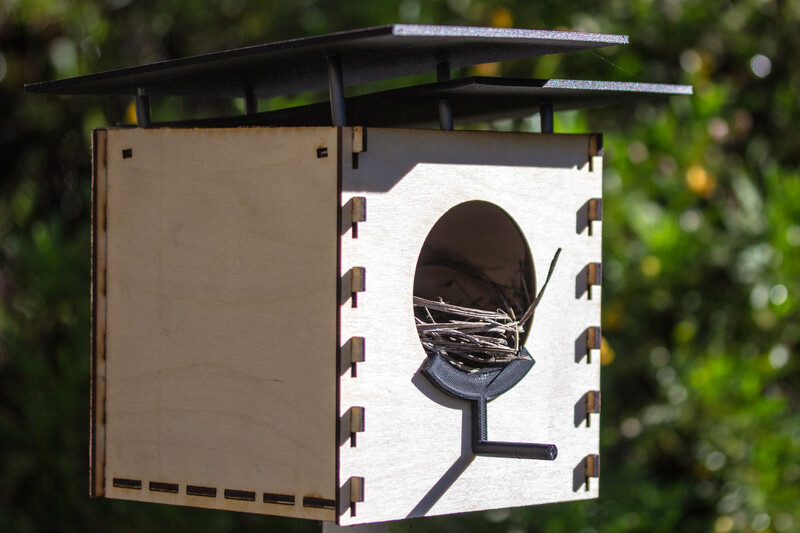 Do your part to address the housing crisis - for the birds in your neighborhood. Easily construct this safe home for birds large and small so that they can build a nest and raise a family in your yard. This house has been architected to be constructed using any combination of 3D printer, lasercutter or CNC. This is a great gift idea for any nature lover, and it's easy to make in a classroom setting or on your own. You can also purchase this kit on eBay. Take my word for it... This birdhouse will be a chick magnet. But if this one doesn't ruffle your feathers, then fly on over to this birdhouse design. The only part of this kit that kinda needs to be 3D printed is the front perch. Rather than printing them, the roof panels can be cut from a 1/8 inch thick acrylic sheet using either a lasercutter or CNC machine. But if you do use acrylic, try to stay away from any shiny materials, which might scare birds away when the sun reflects off of it. The other panels of the kit can be cut from two sheets of 3 mm inch thick birch plywood. The only part of this design that kinda needs to be 3D printed is the perch. 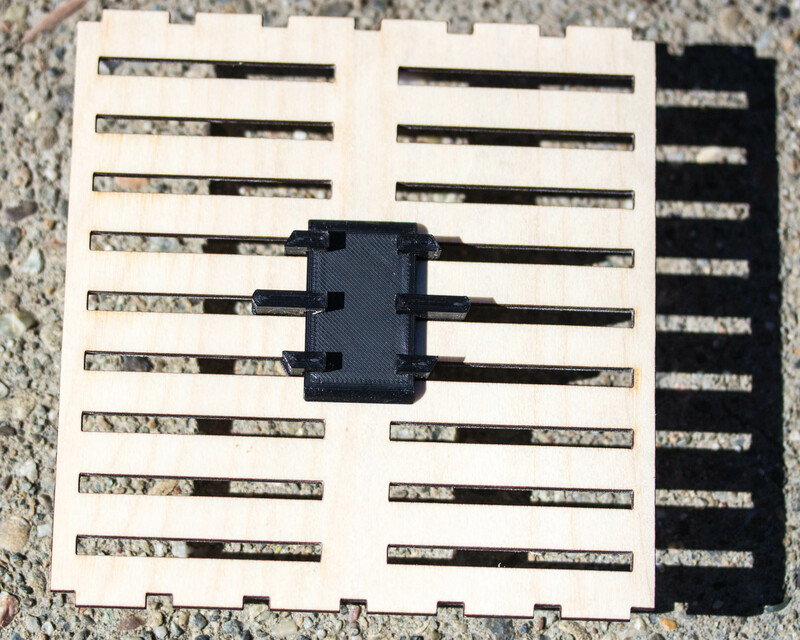 All the other parts can either be 3D or cut using a lasercutter or CNC. We recommend that you protect wood panels by spray painting them before assembly to protect the wood from the weather and to match or contrast with other elements of your landscape. Looking for an easy remix? Don't hesitate to make a copy of the public Onshape document. The size of the 3D printed perch must match the size of the hole on the front face. Whether using a small or large face panel, be sure to also choose the perch of the same scale. Be careful about removing all the supports generated when the perch is printed. It'll be difficult to impossible to add the perch to the front face if any supports remain. The perch must be slid into the bottom slot of the hole in the front face. Try to slide the part all the way down, while being careful not to damage the front face, which may be fragile. There are several different ways that the birdhouse can be positioned around the yard. 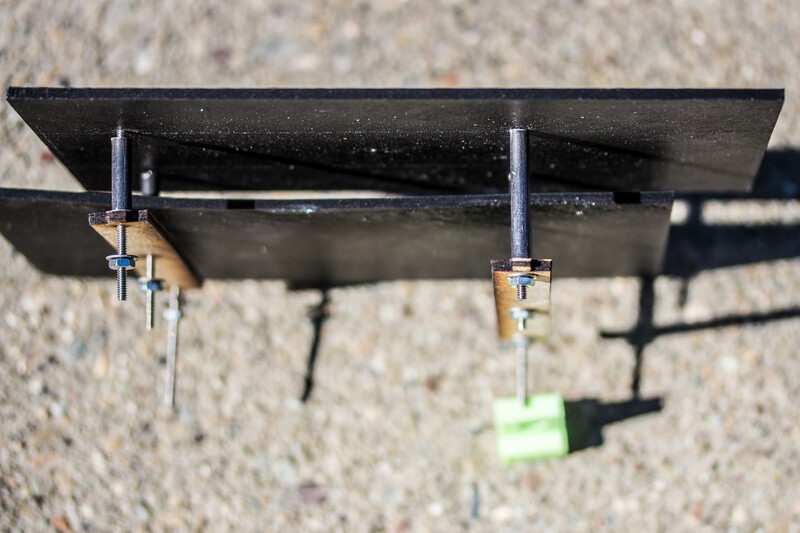 The kit includes 3D printed pole mount and clip parts that can be attached to the wooden base plate of the birdhouse. 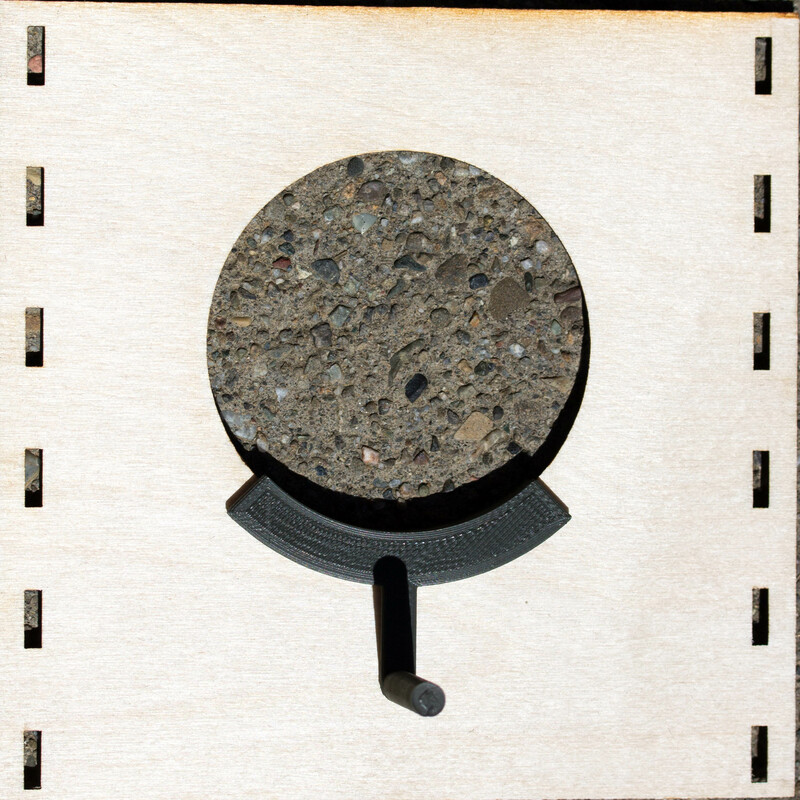 This mount allows the birdhouse to be mounted on top of a 1" PVC pipe, which itself can be either put in a hole in the ground, attached to a fence post, or held up in some other sturdy way. Alternatively, you could hang it by attaching wires to the screws of the roof panels. Just to state the obvious, if you use the pole mount you'll need to buy, beg, borrow, or steal the 1" PVC pipe, as it's not included in the parts list of this kit. The 6 "fingers" of the pole mount should be slid into the holes in the bottom of the baseplate, as shown. But sure that the mount is pushed all the way into the holes of the plate, while also being careful not to break the plate in the process. 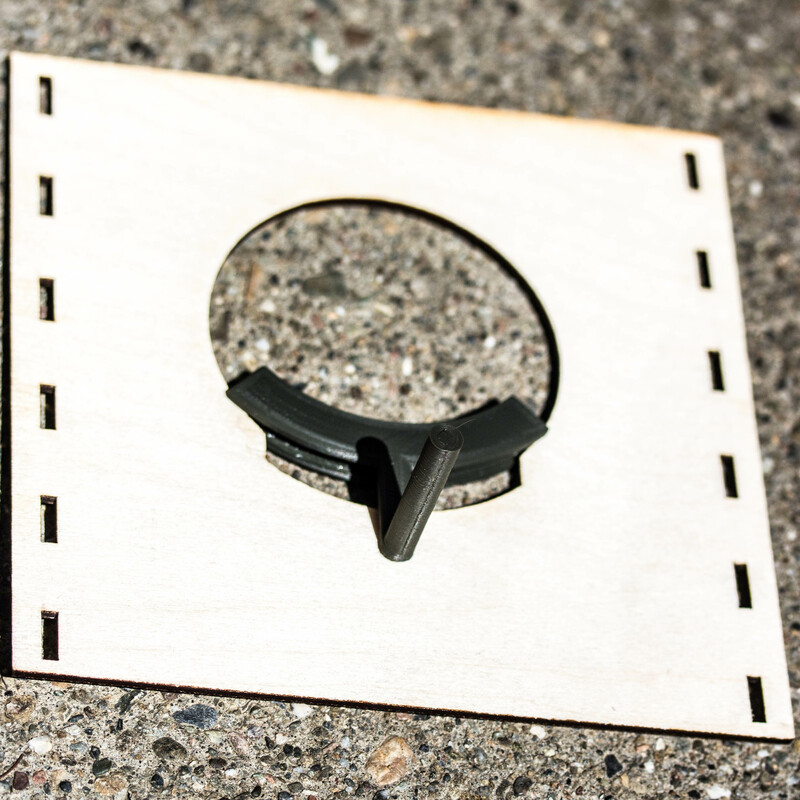 Once the mount is in the baseplate, slide the mount clip through the series of 3 finger pairs so that the mount is securely attached to the plate. 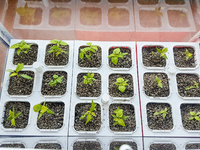 The panels can be 3D printed or cut using either a lasercutter or CNC machine. The design includes two roof panel shapes. The first roof panel is meant to be in the upper left and the second panel in the lower right. As shown in the photo below, panels are meant to be assembled offset from each other. They're also meant to be tilted so that the front of both panels are higher than the back. Each panel has four holes that accept M3 screws. You can just use six 50mm screws. But shorter screws could be used in the back. The wooden slats, called hangers, are the final piece added to the screws before adding a washer and finally the nut. Attached the front face panel to the notches of the side panels. Be sure to slide the front panel down to "lock" it into place. 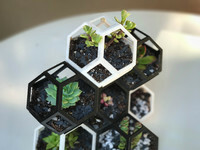 Say thanks by giving neobobkrause a tip and help them continue to share amazing Things with the Thingiverse community. Say thanks and help neobobkrause continue to share amazing Things with the Thingiverse community. You'll need a PayPal account to tip neobobkrause. Click the button below and you will be redirected to PayPal. Once the payment is complete, you'll be brought back to Thingiverse.